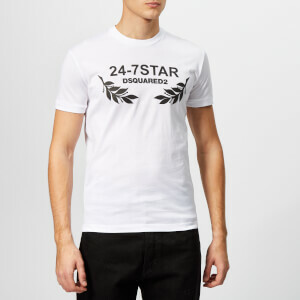 Printed 'Punk' logo T-shirt from Dsquared2. Cut from premium cotton with a contrasting printed graphic to the front. The tee features a rib-knit crew neckline, short sleeves and a straight hem. Tonal stitching throughout.